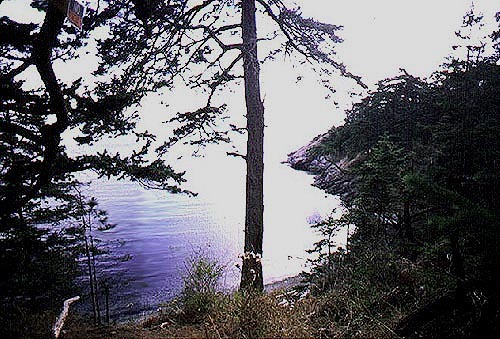 Rocky cliffs and deep forest dominate "filtered" views of the southern Salish Sea (also called "northern" Puget Sound). There are some exceptional groves of old growth Douglas fir here. Currently managed as a State Marine Park. Boat access only. Dock facility on western side of island. Camping permitted in designated areas.